They have no choice. If the demigods don't succeed, Gaea's armies will never die. They have no time. In about a month, the Romans will march on Camp Half-Blood. The stakes are higher than ever in this adventure that dives into the depths of Tartarus. Three Terrifying Tales of Terror! The First Four Crepover Books in One Set! 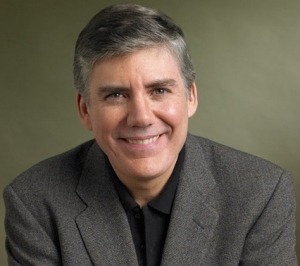 For Rick Riordan, a bedtime story shared with his oldest son was just the beginning of his journey into the world of children’s books. 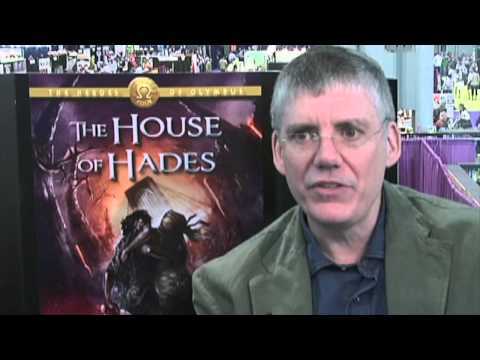 Despite his busy schedule, Riordan managed to carve some time out of his daily routine to write the first Percy Jackson and the Olympians book, The Lightning Thief. And in deference to his son, Riordan chose to give the character of Percy certain attributes that hit close to home. Born and raised in San Antonio, Texas, Riordan started writing as a young adult. He wrote short stories, unsuccessfully submitted a few of those stories for publication, and edited his high school newspaper. But he didn’t take writing seriously until after he graduated from college and was teaching in San Francisco. While Riordan and his family (wife Becky and sons Haley and Patrick) enjoyed living in California, he was nostalgic for Texas. On an impulse, Riordan decided to try his hand at a mystery novel, which he set in his hometown of San Antonio. Featuring a private-eye/English Ph.D. named Tres Navarre, Big Red Tequila was published to rave reviews in 1997. Today, Riordan’sTres Navarre series has won the top three awards for the mystery genre— the Edgar, the Anthony, and the Shamus. Despite his success in the adult mystery market, writing for children was never far from Riordan’s mind. Young readers—in addition to reviewers, booksellers, librarians, and educators—agree. Kirkus, in a starred review, called The Lightning Thief “[a] riotously paced quest tale of heroism that questions the realities of our world, family, friendship and loyalty,” while Publishers Weekly praised The Sea of Monsters, book two in the Percy Jackson and the Olympians series, as “a sequel stronger than (the) compelling debut,” containing “humour, intelligence and expert pacing.” Both titles in the Percy Jackson series have received accolades and awards, and The Lightning Thief has recently been optioned for a feature film. And while it’s obvious that Riordan has a knack for writing for kids, he readily admits that writing for young readers is not that much different than writing for an older audience. Recently, Riordan made a “reluctant” decision to leave teaching, a career he thoroughly enjoyed, to write full-time. However, he’s keeping his hand in education by conducting lots of author appearances in classrooms across the country, and even some in Europe.